This post was sponsored by The Quaker Oats Company as part of an Influencer Activation for Influence Central and all opinions expressed in my post are my own. Recently we’ve been working on eating healthier. 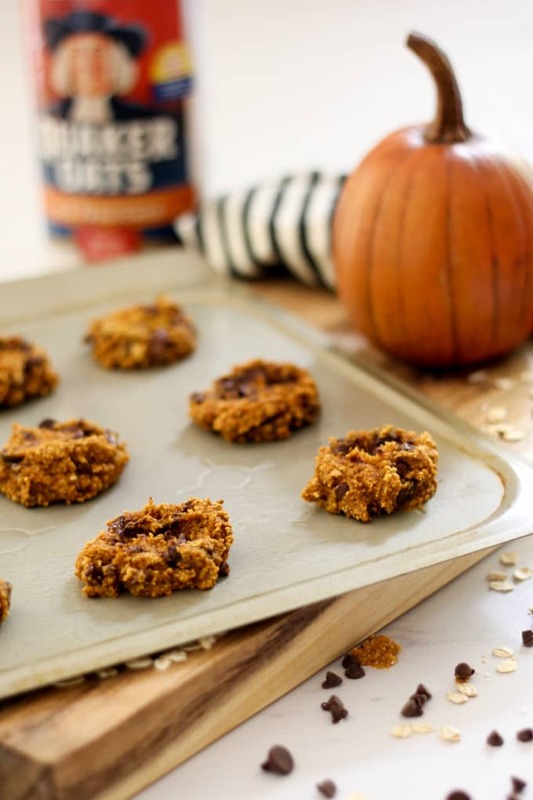 Sometimes this is really hard, other times, like when I make these healthier oatmeal pumpkin chocolate chip cookies it’s not bad at all. Honestly, times like this it’s pretty easy! Recently I’ve been using lots of substitutes to make our baking healthier. 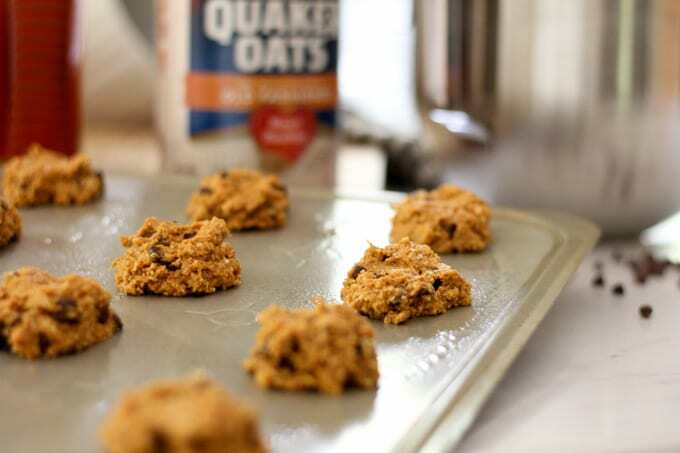 One of the easiest substitutes is using Oat flour instead of wheat flour. 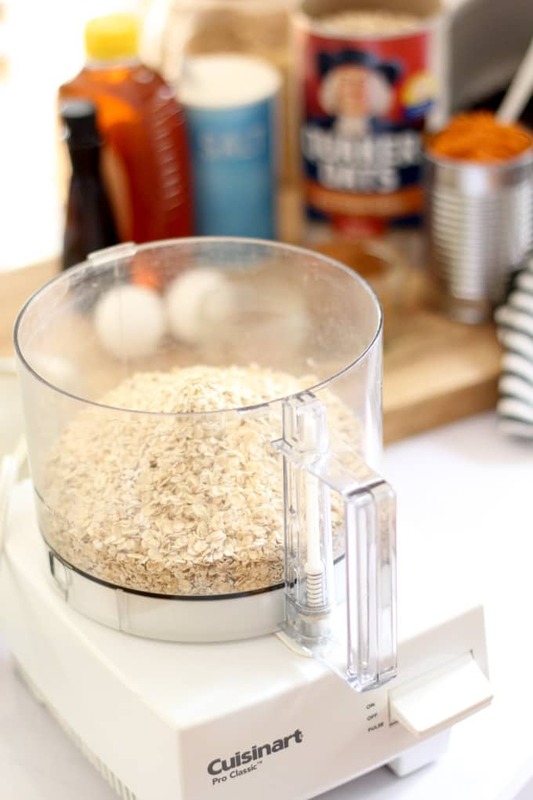 It’s as simple as tossing Old Fashioned Quaker Oats in the food processor, and blending for about 30 seconds. 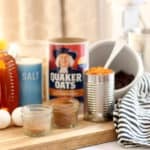 I love that Oats are versatile, they can serve as a blank canvas offering a variety of ways to enjoy from sweet to savory oatmeal dishes and everything in between. Until recently I had never even thought of blending oats to use them as a flour. Combine the wet and dry ingredients, do not overseer. I love that this recipe uses minimal sugar, and honey as a natural sweetener. The sugar (and calories) mainly come from the chocolate chips, so you can choose how many to add accordingly. I like to use mini chocolate chips so that there’s a better chance of getting chocolate in every bite. 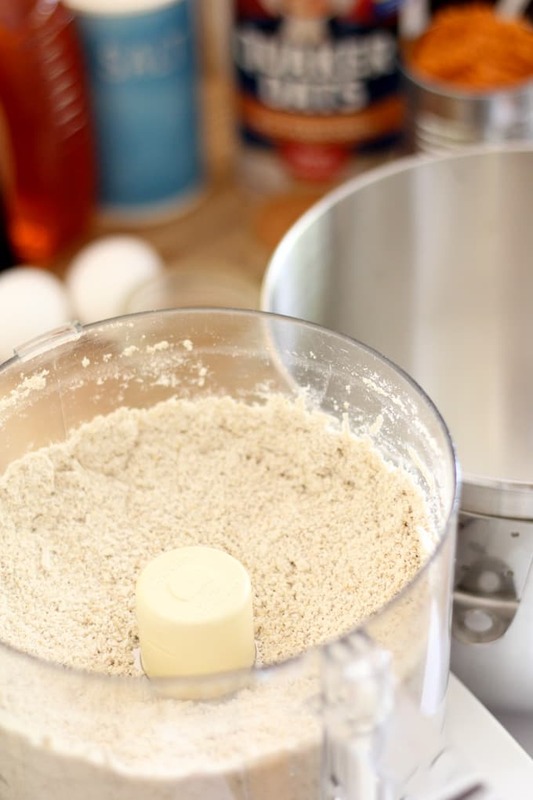 Using oat flour creates a really soft consistency. 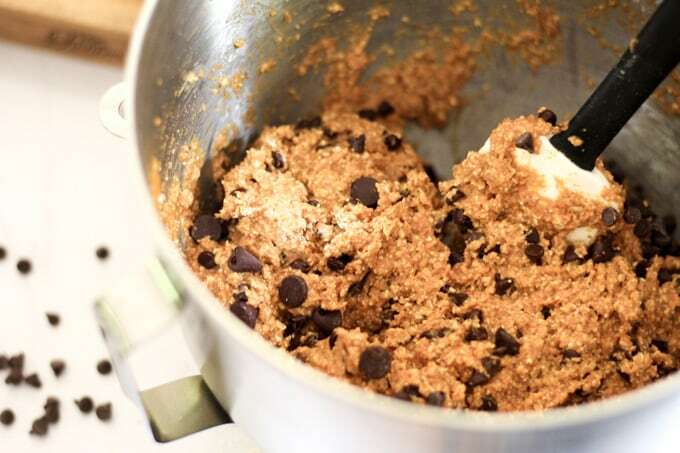 One thing to keep in mind is that they don’t rise like typical cookie recipes, so how you shape them on the pan, is similar to how they will look once they’re done baking. Oats are a super grain that we’ve been eating as a breakfast food for more than one hundred years! That’s why Quaker is celebrating “October” this month! A whole month to remind people about the goodness and versatility of oats. 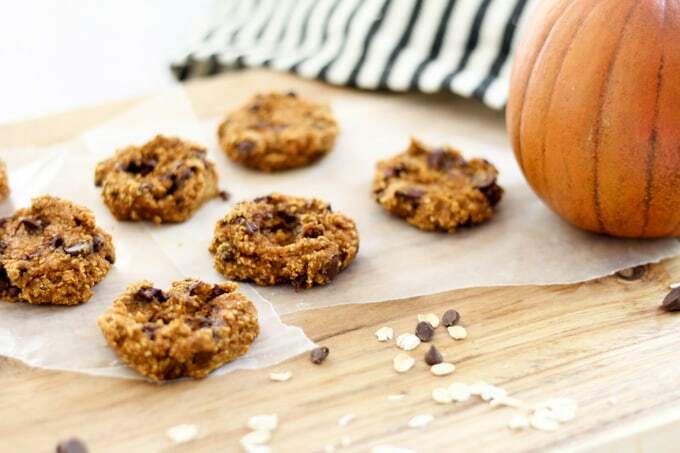 This cookie recipe is a simple and delicious one that you can make in just a few short minutes. These are delicious eaten room temperature, or if you heat them in the microwave they’re even more amazing! 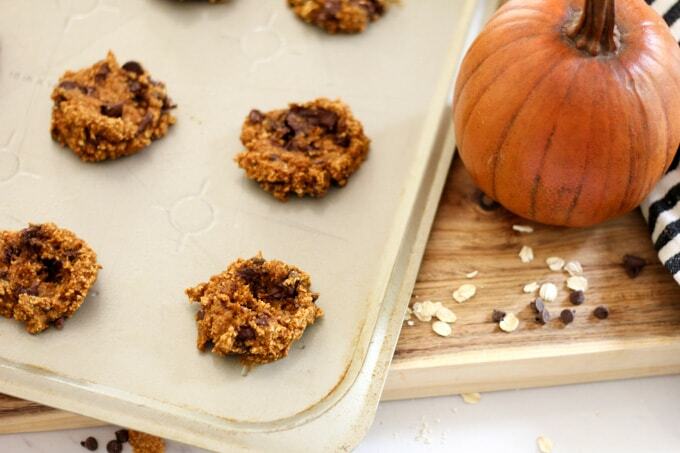 Either way I hope that you love these healthier oatmeal pumpkin chocolate chip cookies as much as we do! 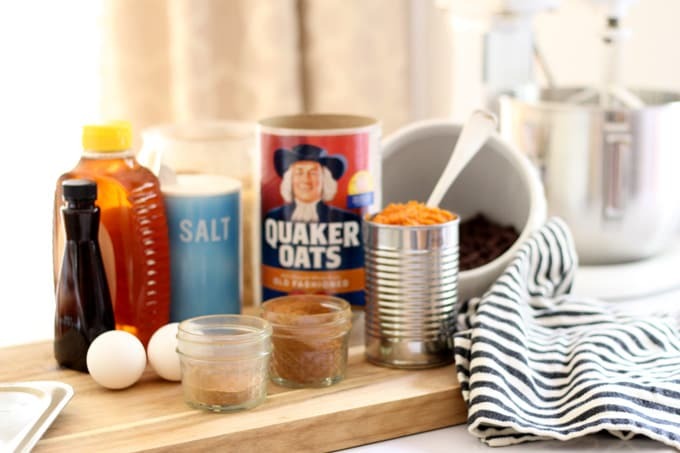 For more information about Quaker Oats, the brand’s latest innovations and recipe ideas, visit their Website, Facebook, Twitter, Pinterest, or Instagram. pinned! always looking for healthy yummy treats! YES! I’ve been loving the recipes you’ve been sharing too!